Crooked Lane Books, 9781683315957, 336pp. Victoria Gilbert, raised in the shadow of the Blue Ridge Mountains, turned her early obsession with reading into a dual career as an author and librarian. Victoria has worked as a reference librarian and library director for public, museum, and academic libraries. An avid reader who appreciates good writing in all genres, Victoria has been known to read seven books in as many days. When not writing or reading, she likes to watch films, listen to music, garden, or travel. Victoria is a member of Mystery Writers of America, International Thriller Writers, and Sisters in Crime. She lives in North Carolina with her husband, son, and some very spoiled cats. 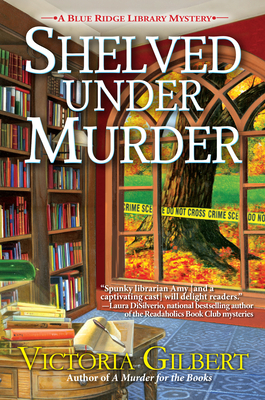 This is her second Blue Ridge Library mystery.